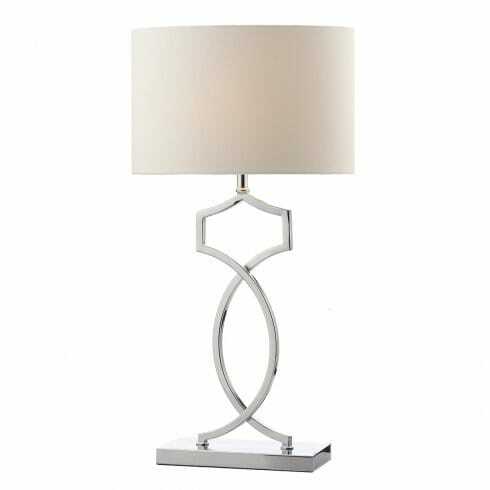 Dar Lighting Donovan single light table lamp displays a decorative twisted base with an eye-catching 3-Dimensional pattern of curves and sleek, angular edges. The product code for this Dar table lamp is DON4250. The polished chrome finish adds a modern touch to the classic look and the faux silk, mushroom coloured drum shade really completes the look. Double insulated and operated by the inline rocker switch that is located on the power cable. Please see our website for the matching floor lamp along with a great variety of alternative table lamps.